Followed the rabbit into this drink hole. Attended a swanky event last night for the launch of Rabbit Hole Distillery, which will be located in NuLu next year (hopefully). It was held at Rye on Market and was also a celebration of Repeal Day. I tried all three products, which are in stores now – the bourbon, the rye whiskey and the bourbon finished in sherry casks. And out of the three, I enjoyed the plain old bourbon the best. At only 2 years old, the flavors expressed themselves nicely in my mouth. It was smoother than I anticipated, and I can’t wait to see how this bourbon tastes as it ages even more. One nice touch — the Rabbit Hole logo was branded on all the fruit for the cocktails. 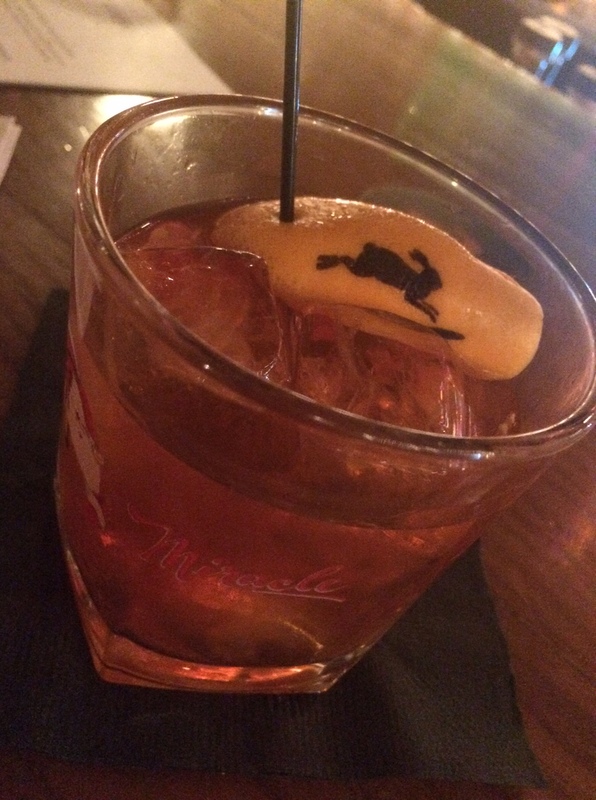 Who doesn’t want a rye Manhattan with a rabbit-adorned orange peel floating in it?